You've just made a great decision to pick up a copy of our newest book and audio program "Magic Relationship Words," plus bonuses. We are offering you a "GOLD" version of "Magic Relationship Words" which includes the "Magic Relationship Words" downloadable book and audio program as described on the previous web page PLUS this incredible collection of many of our best selling ebooks plus some truly incredible additional bonuses for one hugely discounted package price. Please note: This is a one time offer for buyers of "Magic Relationship Words." You cannot get this later. You'll also receive our Love and Relationships newsletter free of charge. Includes the ebook that gives you over 100 words, phrases and sentence starters that really do work like magic. 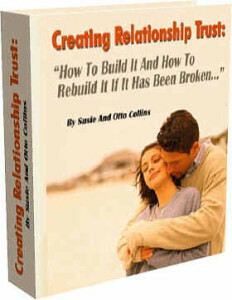 Also included are the two recordings on how to use ONLY Trust Building words and phrases when you talk to your spouse or partner that build trust. With these Magic Words you'll be able to make sure you say it Right Every Time In Any Situation With Your Partner, Spouse or Lover-- No More Conflicts That Last Forever, Stonewalling or Nasty Arguments..."
No matter what your relationships have been like up until this moment... if you want more spark, more love, more passion, more intimacy and more connection in your relationships, we want to suggest to you that with the help of the information in this book you can have it. This ebook contains 77 Skills and Ideas for turning up the heat in (and out of) the bedroom. 21 breakthrough ideas for instantly improving anything you want about any relationship so you can get more of the love and connection that you really want! 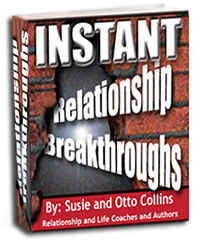 Discover the secrets to immediately improving communication in all your relationships and to create a lifetime of love. This ebook tells you how to dramatically improve communication in your relationships and start getting more of the love you really want in just one evening. Of all the qualities that make up a good relationship, trust is undeniably the most important. It's the one quality that a relationship simply can't survive without. If you want to discover the relationship secrets for building trust and dramatically improving your relationships, this ebook will show you how to do it. 52 breakthrough strategies for creating the kind of relationship you've always wanted and help you start getting the love you want in your life now! A simple 7-step process anyone can use to attract and keep the the love they want in their lives. 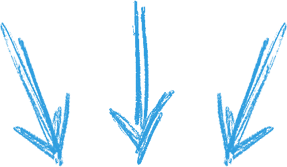 The "Relationship Attractor Factor" reveals the missing ingredients that most people never find for attracting the love and relationships they want. These nine skills for connecting deeper and with an open heart will not only work with your partner or spouse, they will also be valuable in any relationship you are (or will be) in. If you were to purchase each of these products separately, you would pay nearly $300. We are offering this entire collection for the unbelievable price of $77. You will still receive the bonuses ("21 Words, Phrases and Sentences to NEVER Say To Your Partner, Spouse or Lover" and "10 Communication Mistakes Most People Make In Their Relationships and What They Can Do To Fix Them," plus our love and relationships newsletter) that were being offered for your main selection. Bonus #1 -- "21 Words, Phrases and Sentences to NEVER Say To Your Partner, Spouse or Lover"--In this special report, we're giving you a list of 21 of our top words and things to NOT say to your partner if you want to have a close and connected relationship filled with love, respect and kindness. 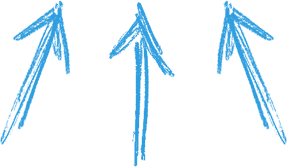 Bonus #2--"10 Communication Mistakes Most People Make In Their Relationships and What They Can Do To Fix Them"-- This special report by Susie and Otto contains the master keys on how to start improving communication now with everyone in your life. Bonus #3---- "7 Keys to Creating A Great Relationship" -- a 20 page special report in pdf format on the 7 things we consider to be most important in creating an outstanding relationship. Bonus #4--"Love Lessons"-- a 56 page e-book that will give you dozens of powerful insights, tips, ideas and strategies for creating an outstanding relationship. 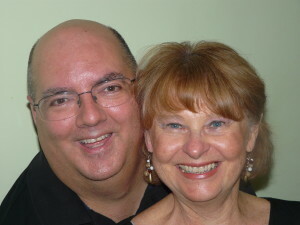 Bonus #5-- "101 Romantic Ideas" This is a bonus downloadable e-book in pdf format from Michael Webb (The Romantic). 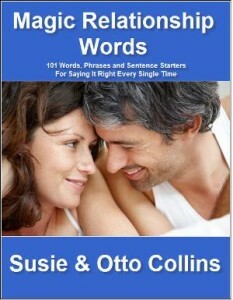 This e-book will give you 101 incredible ideas for keeping romance alive in your relationship. If you haven't heard of Michael--he's the author of the #1 best seller "The Romantic's Guide" and 6 other books on romance. These days, we've all been hearing a lot about the words "Soulmates" and "Twin Flames." In this special report, we try to demystify the terms Soulmates and Twin Flames. We'll share with you what they really are, and how you can discover what the Real purpose of your relationships is. Bonus #7-- 101 Relationship Quotes Worth A Million Dollars This e-book contains 101 of our favorite quotes about love, relationships, personal and spiritual growth, relationship truths and much more. The quotes in this little book will expand your mind and give you a new vision of possibilities for your relationships and your life. Bonus #8--"Can Your Marriage Be Saved" ebook by Dr. Bob Huizenga --Infidelity can be a big challenge for couples who want to create more love, passion and connection in their relationship or marriage. In this valuable e-book, Dr. Bob Huizenga helps you discover the odds of saving your marriage for 7 different kinds of extramarital affairs. Begin to think about the resources you need to change the patterns and increase your odds of saving your marriage. Bonus #9-- --"10 Easy Ways You Can Attract or Create the Love You Want" Audio Recording-- Here's how to create more love in your life whether you are currently with a partner or not. Bonus #11--"Forgiveness" by Leslie Sann --One of the biggest roadblocks to creating the kind of love, passion and connection that most people want in their lives are the things we're still holding onto from the past either toward ourselves or others that need to be forgiven. 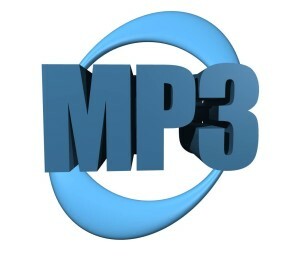 In this mp3 audio, Leslie will help you release yourself and others. Once you seek forgiveness, you are free to love yourself first and then extend that love to others.